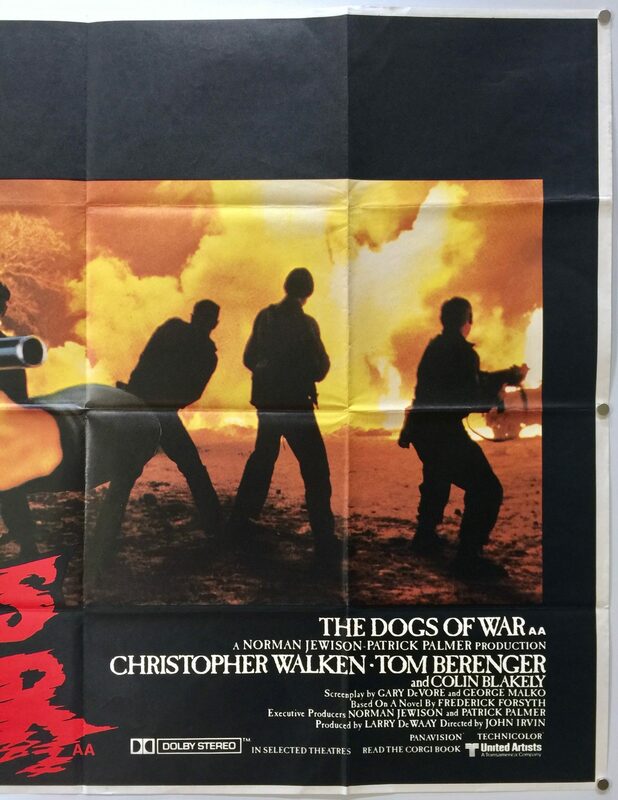 The Dogs of War is a 1980 film directed by John Irvin. 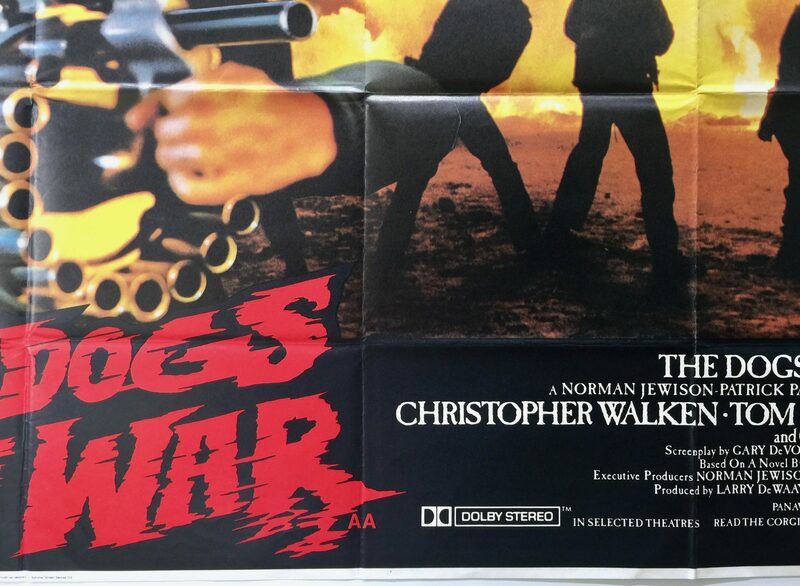 It was co-produced by Larry DeWaay, Norman Jewison and Patrick J. Palmer. 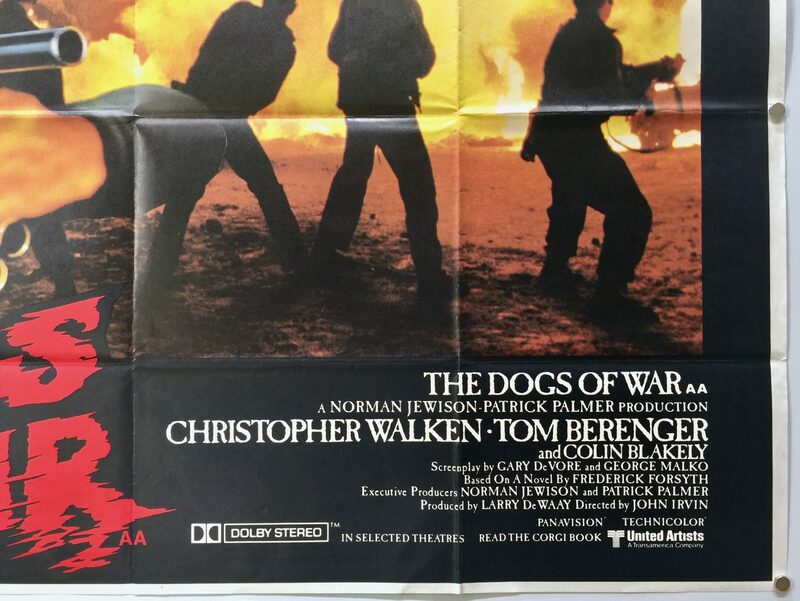 The screenplay was co-written by Gary DeVore and George Malko based on the 1974 novel also called The Dogs of War by Frederick Forsyth. 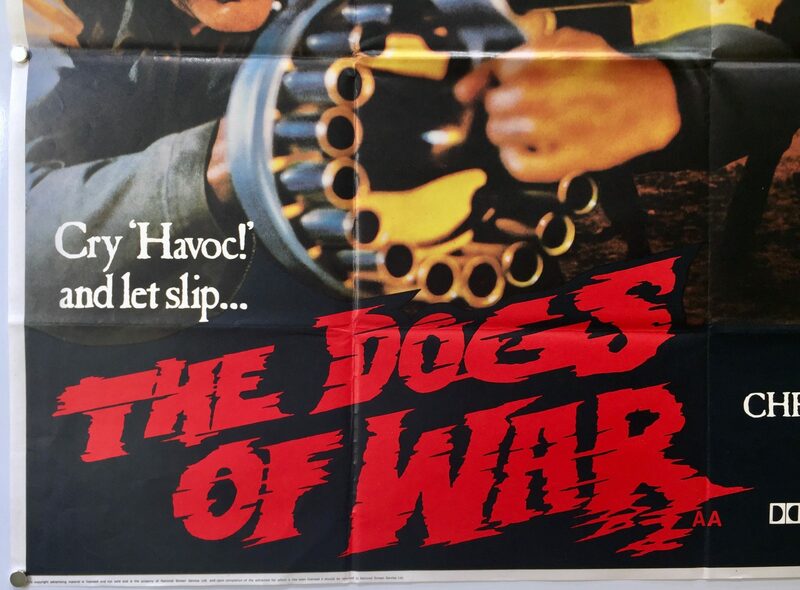 The tagline is based on a phrase from the William Shakespeare’s play Julius Caesar “Cry, ‘Havoc!’, and let slip the dogs of war”. 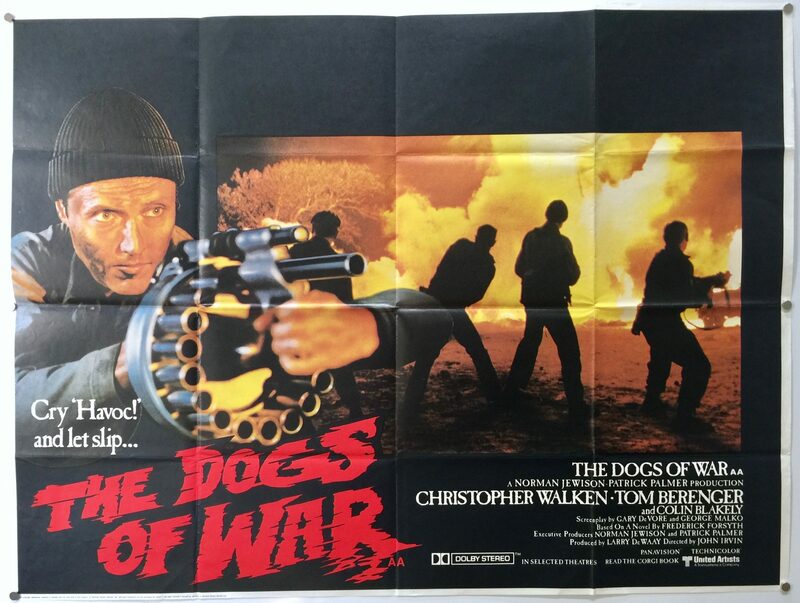 The Dogs of War stars Christopher Walken, Tom Berenger, Colin Blakely, Hugh Millais, Paul Freeman, Jean-Francois Stevenin, JoBeth Williams, Robert Urquhart, Winston Ntshona, Pedro Armendáriz Jr, Ed O’Neill, Shane Rimmer and George Harris. 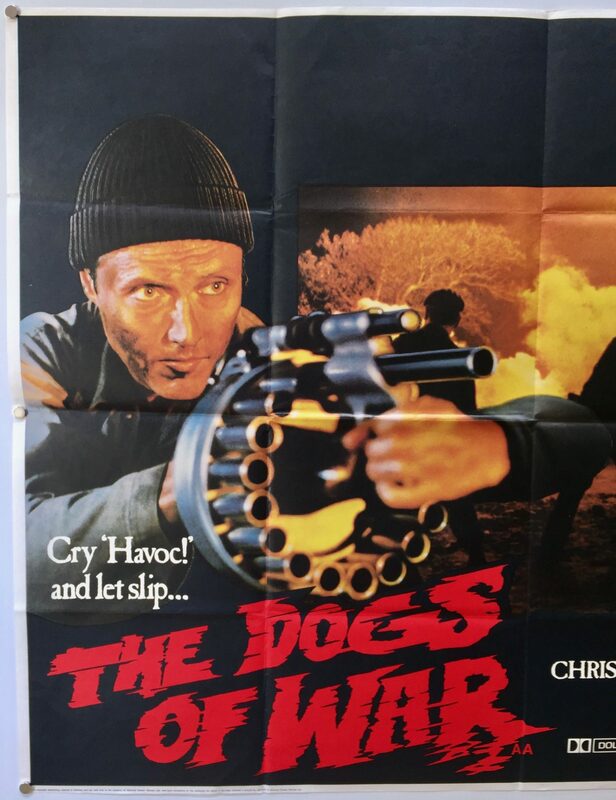 The storyline follows soldier of fortune Jamie Shannon, a mercenary who will stage a coup or revolution for the right price. 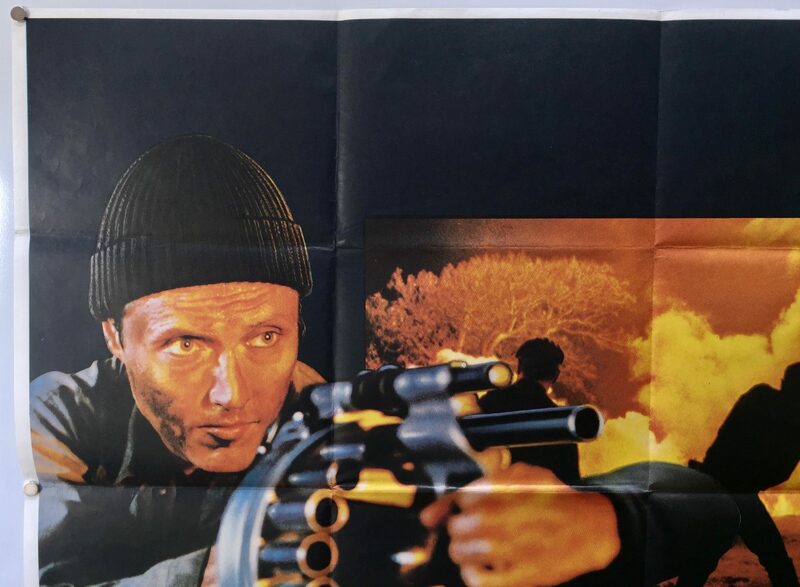 He is hired by a British tycoon to dispose of the president of Zangaro, a small African nation with his brutal and xenophobic dictatorship but rich in mineral deposits. 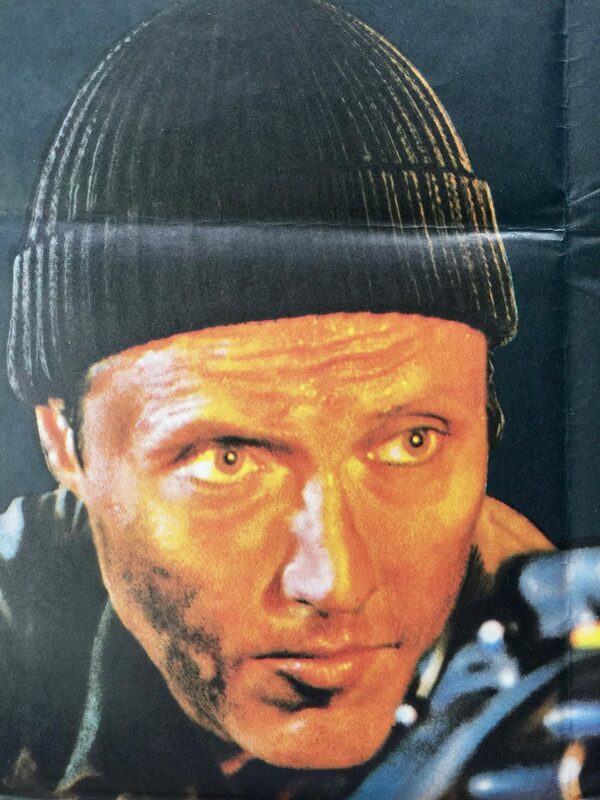 He is arrested, imprisoned as a spy, badly beaten and tortured. While in prison he meets Dr Okoye, one of the country’s leading intellectuals and freedom fighter who was imprisoned by the regime. 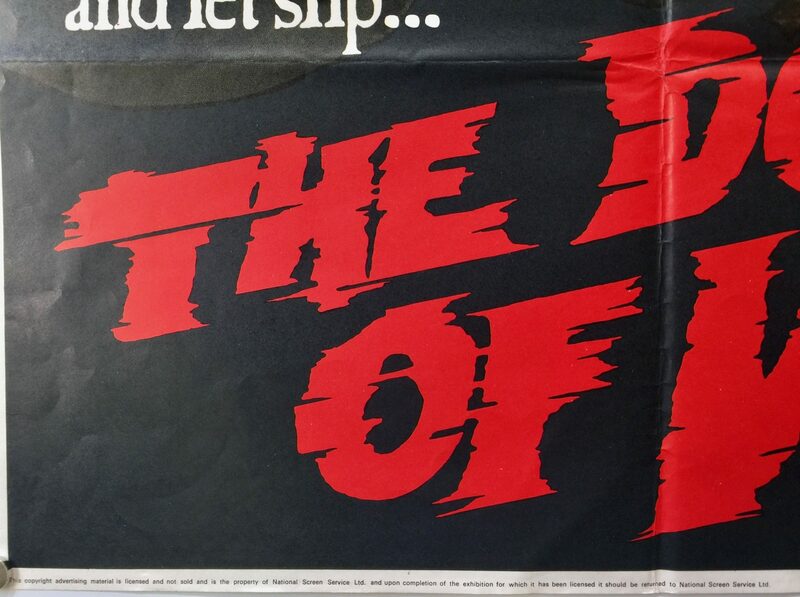 Upon his release from prison, he is offered an opportunity to go back and lead a military coup but he has his own agenda to pursue. Principle photography was completed in Belize City, Belize and its surrounding areas. 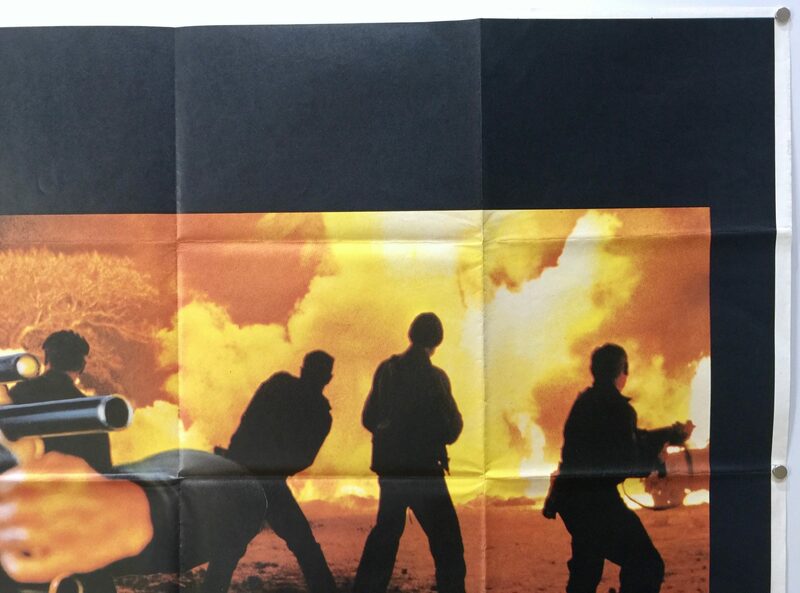 The Central American scene was filmed at the Miami Glider Port southwest of Miami, Florida. 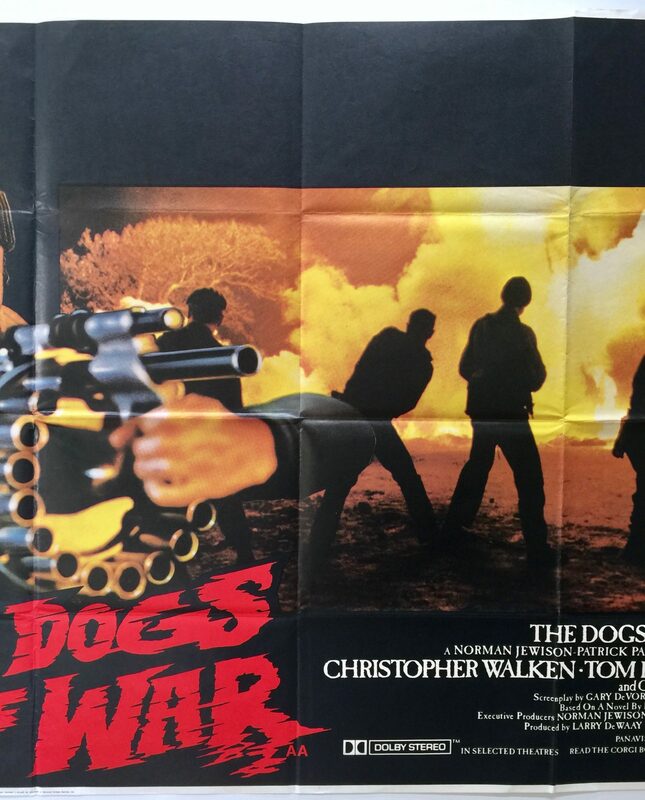 The Dogs of War featured many weapons of popular culture during the 1980s, such as the Uzi submachine gun but in the novel German World War II, MP40s were used. 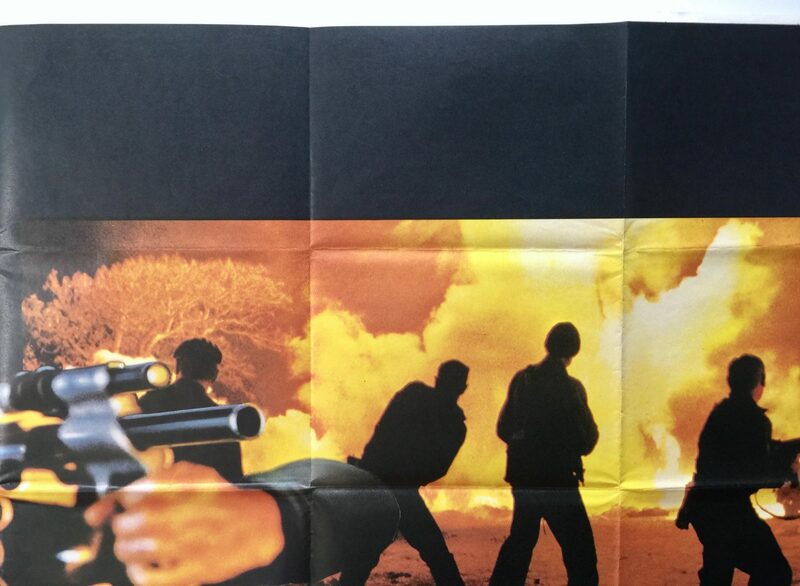 The grenade launcher shown in the movie posters was a design later used by the MM-1 grenade launcher. 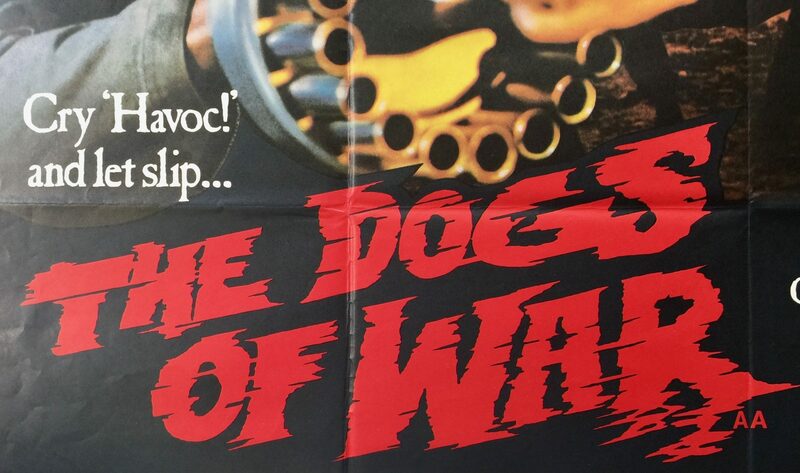 Commercially, I am unable to determine if The Dogs of War was a financial success due to a lack of information. 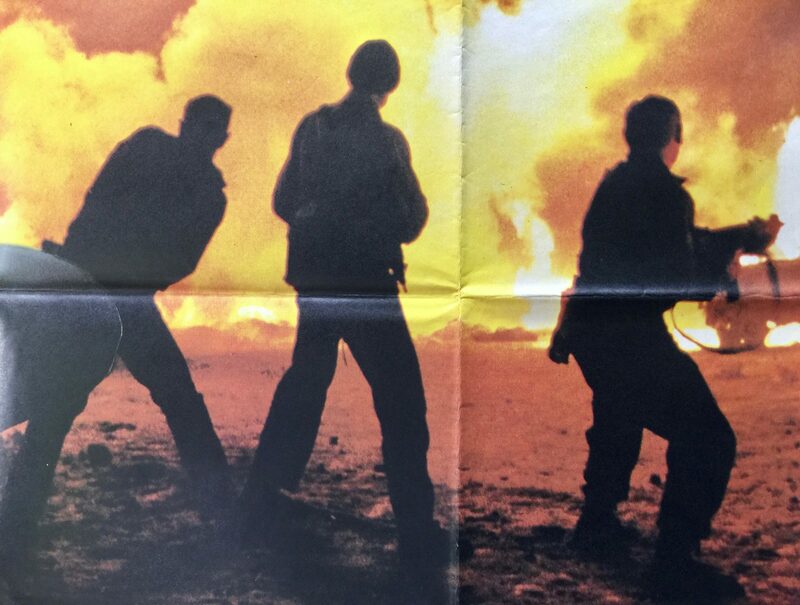 The production budget is unknown, is its opening weekend receipts but it has total US box office receipts of $5,484,132. 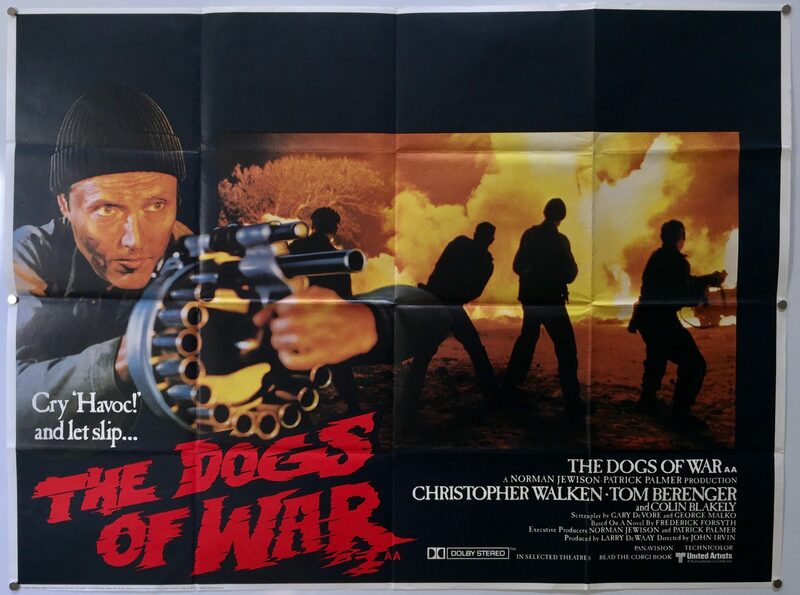 The Dogs of War hold a rating of 67% on Rotten Tomatoes and 6.3/10 on IMDb.